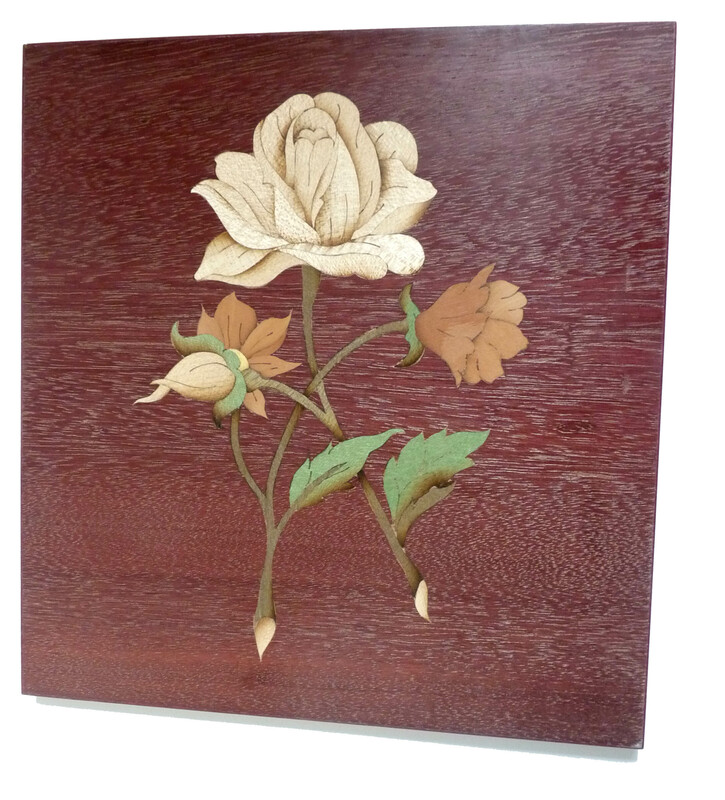 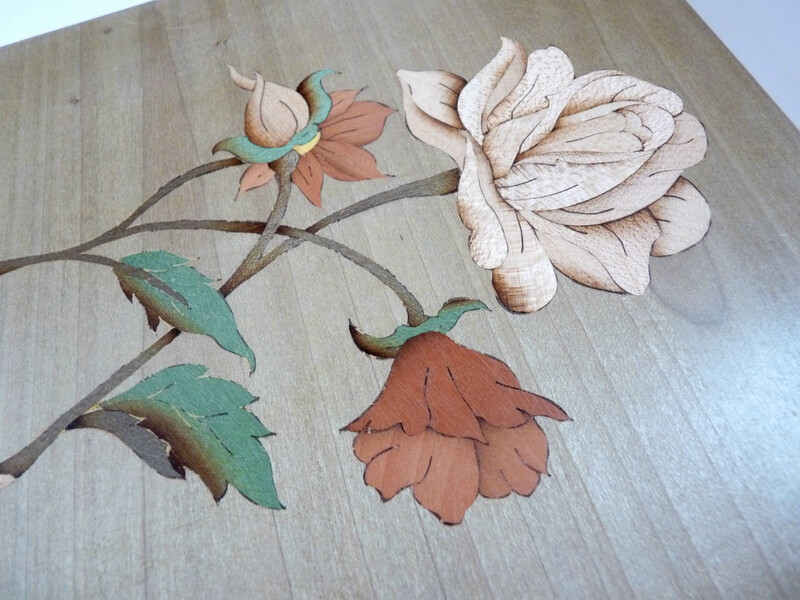 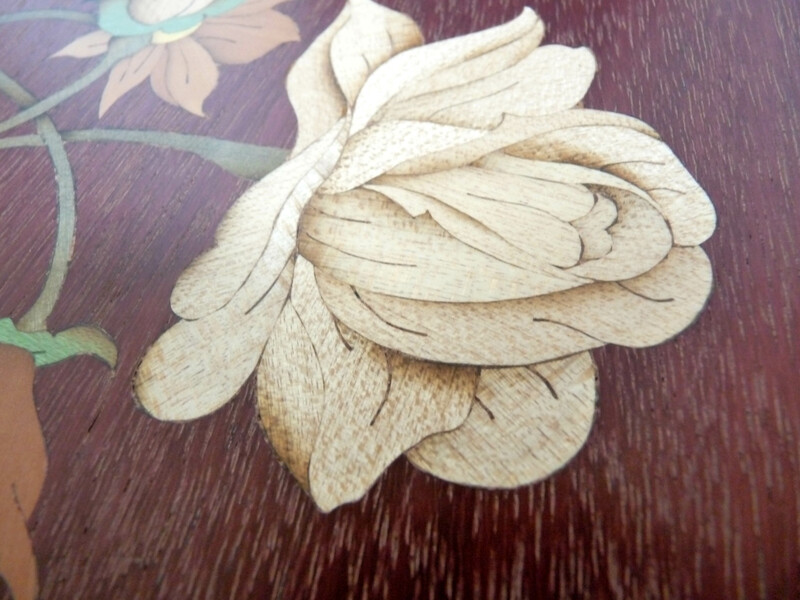 This is the first marquetry I had to make when I arrived at Boulle School. 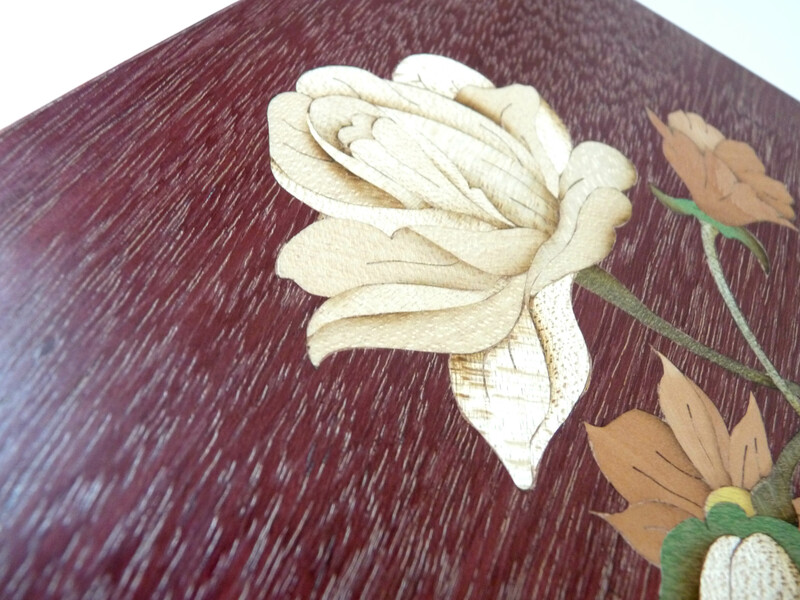 I was given a pattern and I had to choose the veneer I wanted to use. 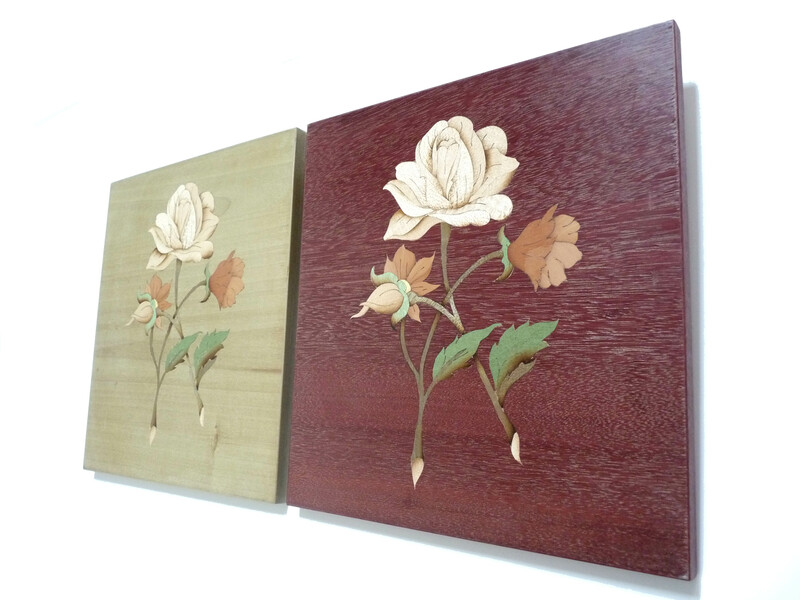 I made 2 versions of the flower : one with an amaranth background and one with a tulip tree. 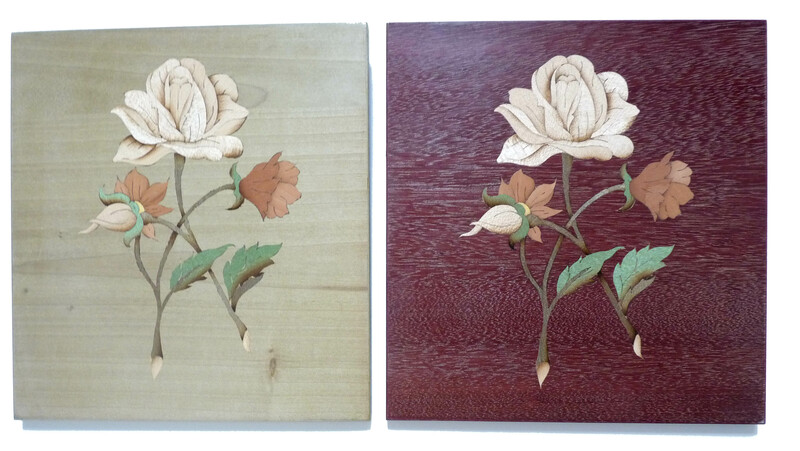 I wanted the 2 versions to be different so I chose very different colors for the background.